EUCLID has been officially notified that its MBA in Sustainable Development program has been ranked #1 by the independent http://www.bestcollegereviews.org/ website. 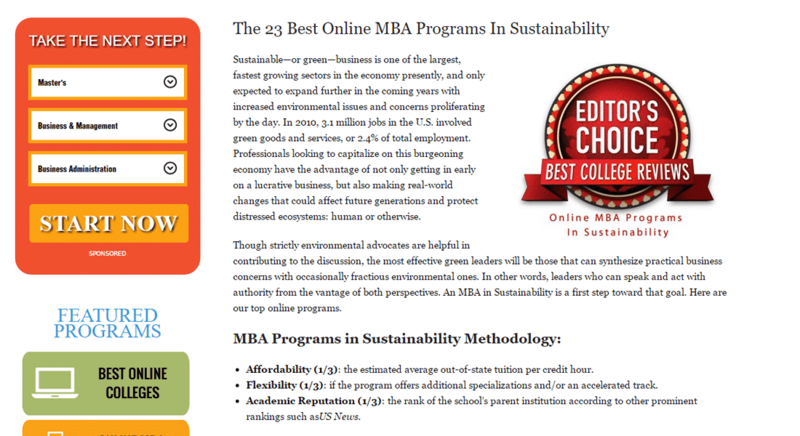 The article entitled “The 23 Best Online MBA Programs In Sustainability” assessed various programs on the basis of affordability, flexibility and academic reputation. Other ranked programs included University of Colorado—Denver, UMass Dartmouth, Marylhurst University, Walden University and Presidio Graduate School.